Bed and breakfast for sale in Torremolinos (Montemar, near Carihuela Beach). This is a 3 bedroom apartment, 1 bedroom apartment and 4 studios all combined in one large detached villa situated just a 5 minute walk from the beach and the train station. It does need some work and a creative mind – but this could be a perfect opportunity to start a bed and breakfast. The structure is fine, the villa just doesn’t look very appealing at the moment. A lick of paint and some modern furniture would already make a huge difference. New bathrooms and kitchens (for the upstairs apartment as well) combined with some creativity and entrepreneurship would turn this property into a true money-maker. In the current state the studios are rented out for holidays at 300 euros per week and the apartment at 400 euros. If you would be fully booked in July and August alone (which is a piece of cake), you would make over 14,000 euros in just two months. And the holiday season on the Costa del Sol starts in May and ends in October! Maybe you want to offer the upstairs apartment as a rental as well? Maybe you want to convert the four studios into three 1 bedroom apartments? Add a jacuzzi, a nice barbecue area, a bar, some bougainvilleas and other colourful plants and you have an investment in your hands that you can make a lot of money with. 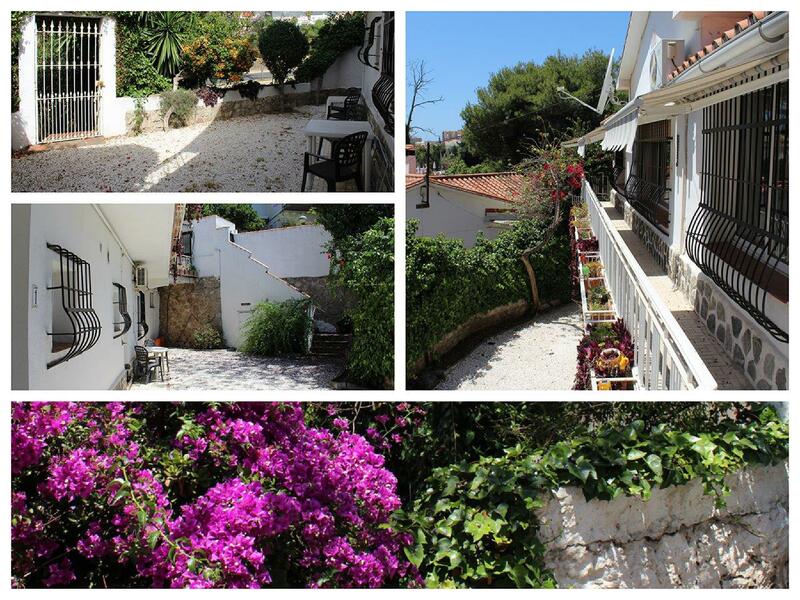 The villa is located in Montemar, which is just a 5 minute walk to Carihuela beach ánd to the train sttaion. The train will take your guests from and to the airport in 15 minutes (just 6 stops), which is very appealing to most tourists. Wish to know more? Click here for photos and more information. You can of course also call or e-mail us. The reference number of this property is MP1083. Ther not writen about the Price for sale this B&B ? Sorry, this property is sold.